Landlords aren’t allowed to make a decision about renting or not renting to you based on any of the attributes mentioned above. They can, however, refuse to rent to you if they are not convinced you are financially stable enough to pay rent. Landlords are allowed to make rules about the property they own, how you may use it, and what you may do with it. Although they cannot make a rule that ends up discriminating against any certain type of person. Landlords are also expected to make reasonable accommodations to meet the needs of the disabled. As an example, all newer buildings of a certain height must be equipped with elevators. With older buildings, especially historic ones, this may not be feasible and is not required in those cases. If you notice anything that appears to be a violation of the Fair Housing Act, you can make a complaint directly to the Department of Housing and Urban Development. You may also consider hiring New Jersey attorneys to help you if you’re a victim of discrimination. As you look over your contract, it’s important to make sure that it conforms to the law. If you have a dispute with your landlord, the law will always trump your contract, but it’s still a good idea to look over the contract and make sure it conforms to the law. This gives you an idea of whether or not you can trust your landlord. Security deposits are limited to a maximum of one and a half times the monthly rent. A landlord may use all or any part of the deposit, but only in the manner described in the lease. A landlord must return the deposit or unused portion within 30 days of the end of the lease. A landlord must give reasonable notice before entering the apartment, except in emergencies. 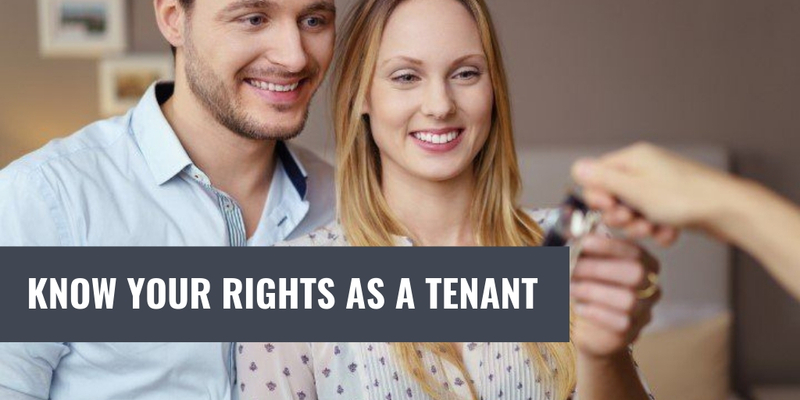 The law doesn’t cover everything you might find in the contract, and in these cases, it gives landlords and tenants the freedom to negotiate these terms. There are many items that could fall into this category, such as whether a tenant may keep pets. Another negotiable is rent — rent cannot be raised within the first year unless this has been pre-negotiated and written into the lease. Some landlords require tenants to have renters insurance, while others do not. While it’s always a good idea to have renters insurance in New Jersey, this is something to discuss before you sign anything. Landlords must maintain all vital facilities and keep the property in line with housing codes. Landlords are not obligated to immediately fix damage that tenants themselves caused. Landlords must give notice of termination a minimum of three months in advance for a one-year lease. Landlords may sell tenant property for unpaid rent, but only under very specific conditions. The law is there to protect you. If you’re planning to rent, know your rights. If you need help defending your rights, get the help of an experienced lawyer.